The authors of Tactics for Trout possess about a combined century of fishing experience and have published over thirty fly-fishing books and thousands of magazine articles in fly-fishing magazines—one is a bonafide entomologist. These guys know fly fishing. And all three are fanatics for fishing trout rivers. Trout rivers—the strategies and methods, tackle and flies, the twists and tricks—these are what Tactics for Trout is about. And many of the chapters include QR codes to take you directly to video segments that support or add to the chapter's ideas. In Tactics for Trout you'll learn to simplify the daunting process of fishing artificial nymphs in rivers, to think outside of convention and make nymph-fishing effective when conventional approaches fail, and even how to avoid common mistakes so you can keep the strikes coming. 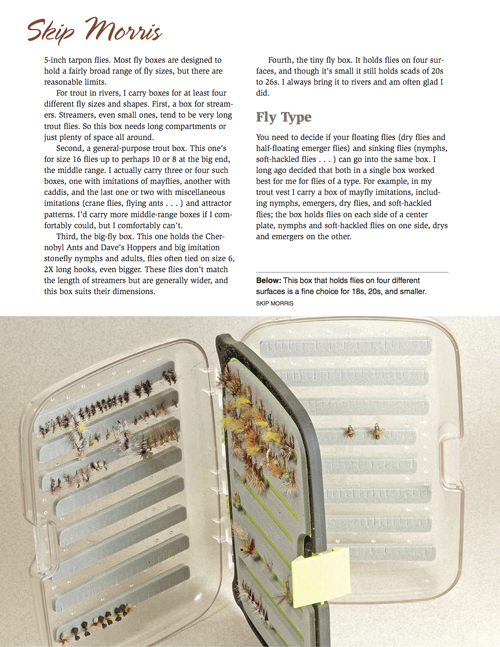 You'll learn a lot more than just how to fish a nymph—there's instruction on fishing wet flies and flymphs, emerger-flies, dry flies, and streamers. 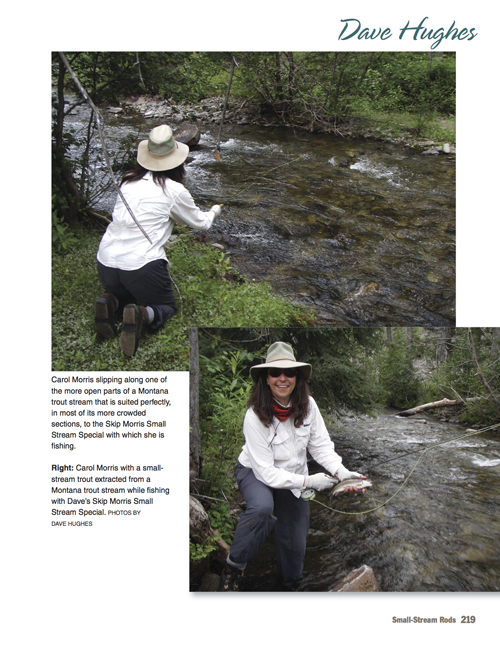 Other chapters cover matching insects with flies, achieving a drag-free float, fishing spring creeks, fishing small streams, fishing dry flies in fast water; the topics just go on and on—and they're all important topics. Which Rod, Which Line, Which Fly? There's even a chapter on fly-rod design and action and other rod characteristics—besides taking you inside the fascinating world of rod-shaft design and construction, this information ultimately helps you select your rods wisely and understand how to work in concert with them. 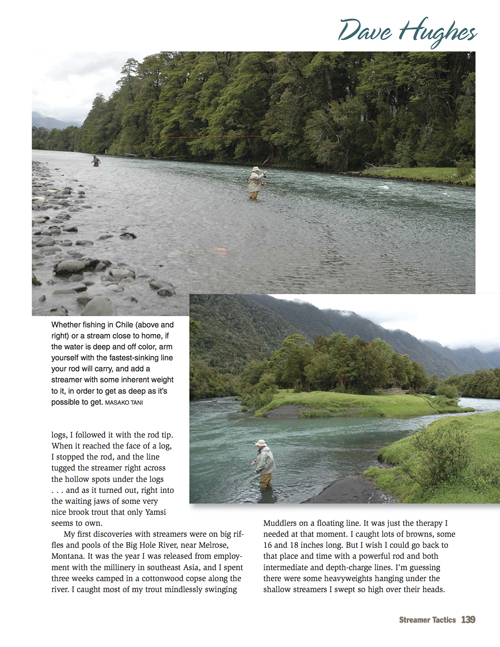 Even how to match those rods with the right fly lines (trickier than it might seem...). the many rich and varied paths our wonderful sport presents. 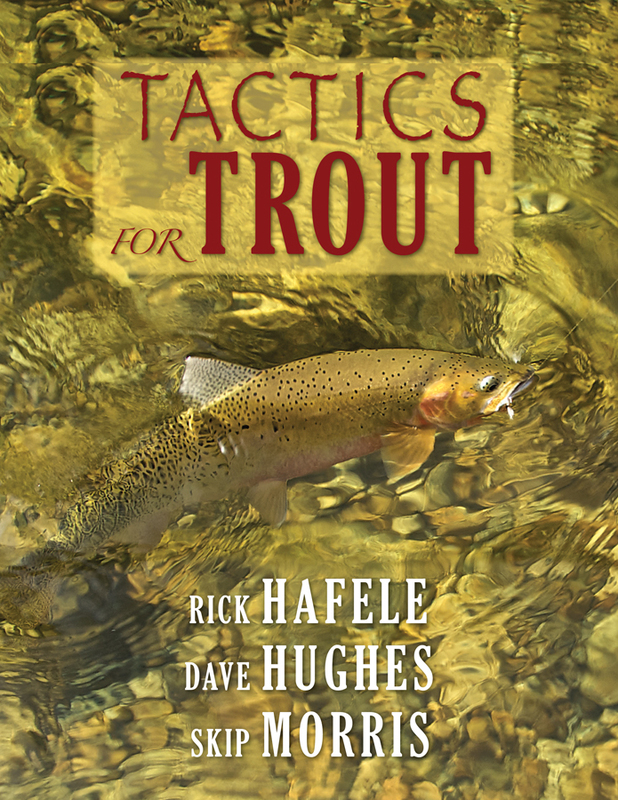 Dave Hughes, author of Handbook of Hatches, Reading Trout Water, and Trout Flies: The Tier's Reference among more than two dozen other fly-fishing titles, wrote one third of the chapters. Dave had taught clinics and has spoken at fly clubs and events across North America, in South America, and overseas. 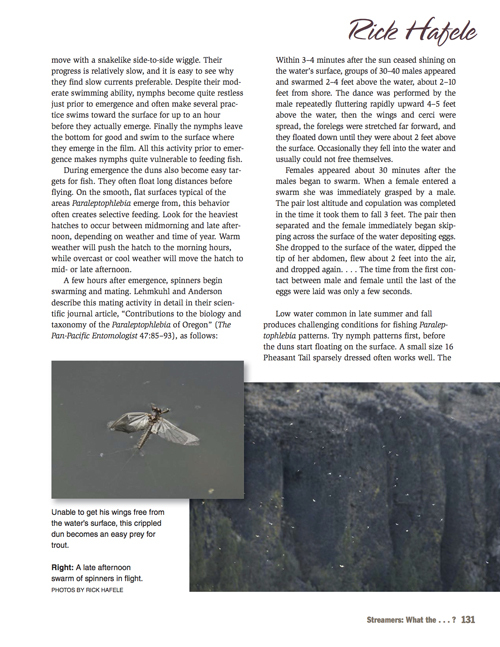 Rick Hafele, an honest-to-God professional entomologist and author of Nymph Fishing Rivers & Streams, Western Mayfly Hatches (with Dave Hughes) and other titles, wrote one third of the chapters. Skip Morris (his other books are on this web-site if you want to see them) wrote the other third of the chapters. Want to learn techniques and strategies for catching more trout in rivers, streams, and creeks? Or do you just want a good read? Either way, Tactics for Trout will deliver.